This next position is a little tricky. Elite shortstops who can not only field at a Gold Glove caliber level, but hit at an elite level are one of the most valuable players on the field. Along with every other position in fantasy baseball, shortstop has its couple of elite ones, but then the list grows thin. This list of shortstops won’t be comprised of players like Ben Zobrist or Hanley Ramirez, because first off I already put both of them on lists, and two, I wouldn’t consider either of them shortstops. So let us begin. This former MVP is in his decline, but at the age of 34, that is expected. Jimmy Rollins is still a vital part of the Phillies 2013 infield and lineup. He has played over 154 games in nine of his twelve big league seasons. Rollins is still a valuable shortstop at his age. He has ten seasons of over 30 stolen bases, and four of those seasons he stole over 40. Jimmy is only a career .270 hitter, and last year he hit a very poor .250, but he can still be productive by being the table setter an scoring runs for the Phils. He has scored over 80 runs in ten of his major league seasons, and has six career 100+ run seasons. For a top of the lineup guy like Jimmy is, his stolen base and run numbers are consistent and that is why Jimmy is valuable. He has never hit over .300, so if you are looking for a good average this is not your guy, but Jimmy is still a solid fantasy pick. 2012 Gold Glove winner J.J. Hardy is finally poised to have a breakout season. The eight-year pro has only played over 150 games in two seasons, but he is a very serviceable shortstop in any fantasy league. He is a shortstop with power and that is rare for a position in which you don’t expect to get a lot of homeruns from. He has hit over 22 homeruns in four seasons and in 2011 had a career high 30. Hardy will not get you any steals. I can guarantee you that. He hasn’t even had an attempt the last two seasons and only has six career stolen bases in his eight seasons. But Hardy is a guy who can drive in runs and even hit a couple out for you. He’s worth a pick later in your draft if you have slept on shortstop. Escobar was a very underrated shortstop last season. In his second season with the Royals, Alcidis had career highs in every offensive category except runs. He has had at least 26 stolen bases in both years in Kansas City. He has played in at least 155 games in both seasons and with another 600 at-bat season, he will look to extend his career highs. Escobar is a man you can get in the later rounds, but would be an absolute steal to whoever takes him. If you are looking for homeruns from your shortstop this is not your guy. 14 career homeruns is what this shortstop has in 4 big league seasons. He actually has more career triples (26) than homeruns. Alcidis will kill his opponents with his legs and has the chance to be a very good fantasy shortstop this season. In 2011, this shortstop had a career year hitting 25 homeruns and driving in 92. Cabrera has the ability to have a very productive season under new manager Terry Francona. The career.279 hitter has only played in 150+ games once, in his six big league seasons. Asdrubal does not possess the speed fellow AL Central rival Alcidis Escobar has, but he has stolen 17 bases twice in his career, which is his career high. Cabrera can do a little bit of everything. He can score runs, hit homeruns, split the gaps for extra base hits, and get on base. With the Indians adding the likes of Michael Bourn and Nick Swisher to a lineup that already features Jason Kipnis and Carlos Santana, Asdrubal will be in prime position to boost his stats for fantasy owners everywhere. Last season’s Silver Slugger winner Ian Desmond makes the list. The Nationals shortstop had a breakout season last year and is looking to help the Nats claim another NL East title. He has hit at least 27 doubles in each of his three big league seasons. Last year he set career highs in runs, hits, homeruns, RBIs, doubles, average, OBP, and Slugging. He also has stolen at least 17 bases in each of his three seasons, which includes consecutive seasons in 11’ and 12’ of 20+. The Nationals are a forced to be reckoned with. Wherever Desmond hits in the lineup he will produce. If he hits sixth like he did last year, he will drive in runs and that will help anyone who is interested in taking him. If you have read my articles before you would know that I am a huge Mets fan. Saying that, I respect the captain of the Yankees more than anybody else in the league. I could go on and on and about all the hardware he has won. Rookie of the Year in 96’, five-time Gold Glover, five-time Sliver Slugger, and 2000 World Series MVP. This 17-year vet has played every season with the Bronx Bombers, but you probably knew that already. This career .313 hitter is coming off a horrible injury in which he suffered in the playoffs, but I think he will have a huge season in his 18th year. Wow. 18. He’s had 13 seasons of 180+ hits, and another 13 years of scoring over 100 runs. I have no doubt in my mind that the captain will be either leading off or hitting second for the Yankees come opening day. He absolutely deserves to be on anybody’s fantasy tram this season. One underrated aspect of Derek’s game is his speed, his nine steals last year was a career low and his only season in his career in which he didn’t steal at least 11. That’s impressive. 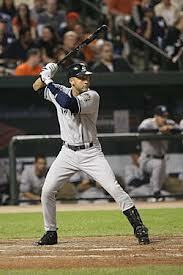 As a Mets fan, I would welcome Jeter with open arms on my fantasy team this season. Elvis Andrus is a great top of the lineup shortstop on still a great Texas Ranger lineup. He has scored 85+ runs in each of the last three seasons. In 2012, he set career highs in hits (180), doubles (31), triples (9), RBIs (62), average and OBP. He has stolen at least 20 bases in all of his four major league seasons, and has had at least 32 in three of those. Elvis is still 24 and is just about to enter the prime of his career. Yes, the Texas Ranger lineup took a hit with the loss of Hamilton, Young, and Napoli, but it still is a problem to deal with for every pitching staff. Elvis can give you everything except power in the upcoming season. He is deserving of a top 5 spot on this list, and I would be more than happy to have him on my team this season. Starlin is the face of a very mediocre Chicago Cubs team. At the age of 22, Starlin is already one of the game’s best shortstops. He has had a very successful start to his major league career. He has hit over .300 in his first two seasons, and last year he hit .283. He has over 29 doubles in each of his three seasons and has two consecutive seasons over 20+ stolen bases. In 2012, he set career highs in homeruns, RBIs, triples, and stolen bases. He also played in all 162 games last season. With Anthony Rizzo hitting behind Castro, I am expecting huge things from the young shortstop. The only downside to Castro’s game is his fielding. He has had at least 27 errors in each of his three seasons, but this is fantasy baseball, and in most leagues, errors don’t mean squat. Starlin will have a nice season this year, and by nice, I mean top 3 shortstop rank nice. This two-time Gold Glove and Silver Slugger winner resides in the best hitter’s park in the majors. Tulo left a lot of fantasy owners disappointed last season when he got hurt and only finished with 47 games played on the year. But this shortstop will be back with vengeance in 2013. Yes, he has only played in over 150 games twice in his six seasons, but he is elite. He has four seasons in which he has scored more than 80 runs, five seasons in which he has hit over 24 doubles, and four seasons driving in at least 90. Tulo has the power too, hitting 30+ homeruns on two separate occasions. What helps with Troy’s situation other than playing at Coors Field is the fact is has a rare talent in Carlos Gonzalez hitting in front of him. Cargo and Tulo have the potential to be an elite 3-4 duo. If you are looking to lock down the shortstop position early in your fantasy drafts, Tulowitzki is the right man for the job. Some people may have flip-flopped Reyes and Tulo, but in my eyes, Jose is the best shortstop in the majors. Reyes had a great season last season, and I am expecting a career year from the All-Star shortstop. He is the lead-off man to one of the greatest lineups in the big-leagues and that will make him an elite fantasy player this season. This career .291 hitter is dynamic with the bat and his legs. He has seven seasons of scoring 80 or more runs, and seven seasons recording 30+ steals, including a 60 and 64 stolen base season and a 78 steal season! Reyes has also never struck out 100 times in a season, which speaks to his in-play ability. He has seven seasons of over 10 triples and on the astro-turf I expect the balls to bounce all over the place. Jose is a rare player with rare talent. I would love to have him on my team this year, and you all should love to have him too.